My Morning Routine isn’t quite like this…. 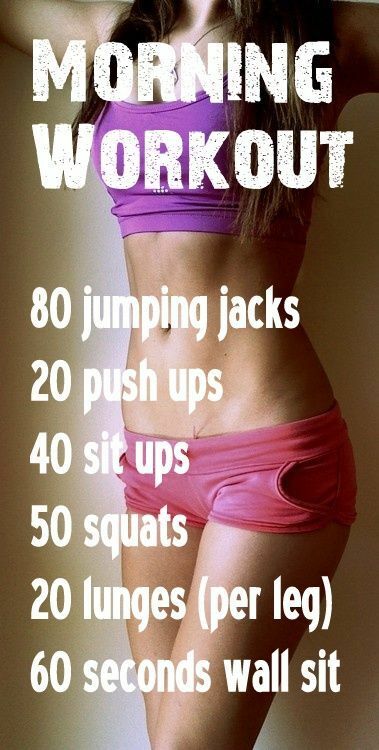 So I was just scrolling over on Pinterest, and saw this info for the “Morning Workout”. Now, here’s the thing ~ I don’t do a morning workout. I know, I know, y’all are SHOCKED by that! But if I WERE to do a Morning Workout it would probably involve walking to the kitchen, bending over to get a skillet and lots of arm rotations while I scrambled my egg. Oh, and I’d walk back to the living room to eat. So when I saw THIS, I was pretty amazed. Apparently, I’ve been a little slack…. Wait ~ What? I just looked a little more and they think I can sit against the wall WITHOUT a Chair? They probably want me to do all that in ONE morning, too, huh? Thanks for reading what I write…if you like it, even a little, share it with your friends. They might like it, too 🙂 Cheers, y’all!! Previous That Elf Is So Outta Here! Oops.. Go to the bathROOM, not tub. Whatever! By the time I get up, make the coffee, let one dog out, pour the coffee, let the dog in and put the other dog out, go to the bathtub, let the second dog in and sit down to start on my “computer work”, I’ve EARNED the next 2 hours of social media time. Laura ~ My thoughts exACTly!! HAHAHAHAHA… I was all for the “wall sit” till you explained it! Cyndi ~ For REAL!! I was thinking, “after all that hard stuff, I guess you need to rest and sit for a minute.” WRONG!! Love this. I can totally relate!! Smiling up a storm over this 1!